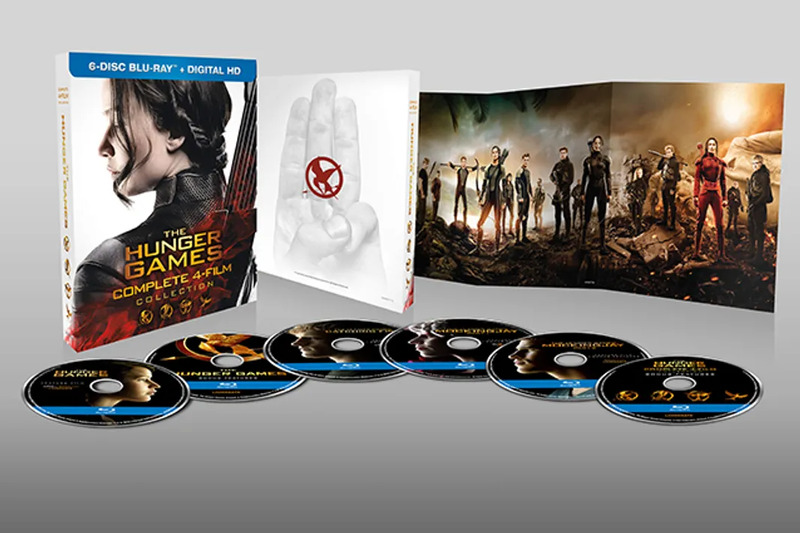 Though The Hunger Games franchise came to a stunning end last November, fans of the series will be able to relive all the incredible moments when The Hunger Games Four Film Collection hits the shelves this month. In celebration of the film collections’ release, we sat down to talk with Willow Shields who played Primrose Everdeen in the series. We chatted about her fondest memories on set, playing such a pivotal character in the series, and the best advice her co-star Jennifer Lawrence has given her. See the full interview below! Filming The Hunger Games was such a huge part of your life, it’s something that you did from the age of ten to the age of fifteen. Now that it’s ended, what is the biggest thing you learned from Panem and its districts? How does that transition for you into our world? Willow Shields: It’s been incredible. I think that the Hunger Games series has had a huge influence on everybody. I think that the most wonderful thing about our series is the fact that it really has influenced a lot of young people, and that’s very important. For me specifically, I learned a lot about District 12. I loved the fact that District 12 was always a hard place to live, but the people who lived there are all still very kind to one another, which is a really important part of the story to me. I loved that, and you see that with Katniss, Prim, Peeta and Gale. They have such a sweet connection, and it really proves that even in the hardest times you have people in your life that will be there for you and support you. Prim is such a pivotal part of the story, The Games essentially begin with her, and her death is a completely devastating moment not just for Katniss, but for people who fell in love with the story and the character. Why do you think Prim resonated so well with others? WS: I think it’s exactly what you said, she started the series and ended the series in a way. I think that for me, the pivotal moment was the reaping scene. And I think that’s what got everybody’s attention in the first trailer. I think people were like this is really interesting, and this is a real relationship. 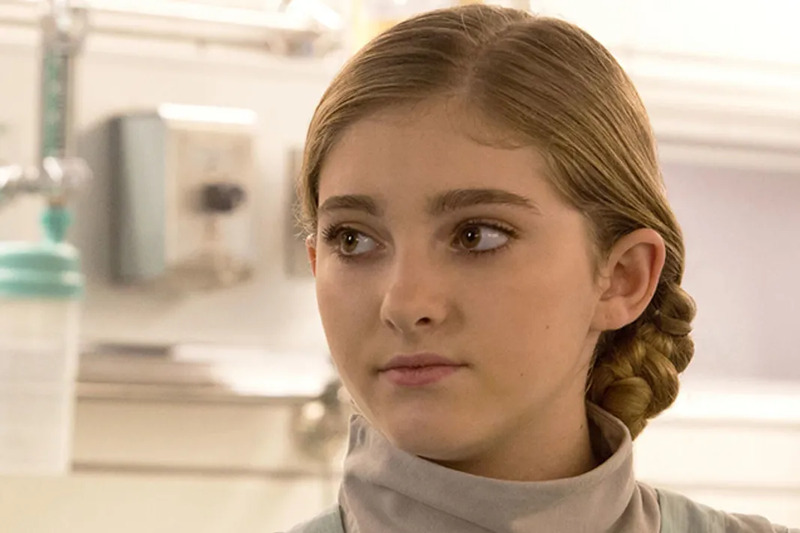 People love the relationship between Prim and Katniss, and that’s why Prim has resonated with so many people, there is something very real about her. Also, it’s always amazing to see a character grow up onscreen. Can you talk about your fondest memory on set? What were you doing and why is that moment so important to you? WS: My fondest memories were on my first day and on my last day. My first day on set was nerve–racking, but it was very fun once I got the hang of the whole situation. It was really strange to be in front of such big cameras at ten years old, and to work with Jennifer [Lawrence] , but she was absolutely fantastic and super sweet to me. We had to do a very emotional scene as our first scene on set together, and it was definitely difficult. However, having her there and the fact that she was so sweet to me immediately was really awesome. My last day was super fun too, even though we were filming my death scene. I still had a really great time. It was bittersweet because I had to say goodbye to a lot of people that I’d know for five years, and worked with closely everyday. But, at the same time, it was very fun in a sense because we all got to see and really express how much we love each other. You’ve spoken previously about really connecting with Jennifer Lawrence, and that you see her as a friend and mentor. She’s been very outspoken about the gender imbalance in Hollywood recently. Is there anything that she’s taught you about the industry, that has really helped you in your own career? WS: Yes! I think that she is obviously an incredible inspiration for anybody and working so closely with her, she has given me a lot of advice. A lot of it has been random on set things about acting and that’s been great. However, the main piece of advice that she’s given me which I think is great advice for any young actor is to not change as you make your way through the business, and not to become a different person because as she expressed it to me, “You’ve been cast in this big movie for a reason, so you don’t want to change who you are.” That was great and I still hold that very closely. I don’t think I have changed which is good. (Laughing) Of course I have changed a bit from the age of ten to fifteen, but I’m still the same person. Other than that, her advice was just to have a lot of drive as well and to be a strong independent woman as I get older in the industry. Also, to keep working, try new things and play as many characters as possible. What do you hope people take away from the Hunger Games in general? WS: I think there’s a lot of things that fans can take away from it. I think there is this story of love between Prim and Katniss and between Katniss, Peeta and Gale. I think you can take away the idea in the story of heartbreak and sorrow and many different instances. I think that it’s really kind of amazing that The Hunger Games has caused teenagers to really think and have their own opinions. There isn’t one young Hunger Games fan that I’ve met that isn’t smart, and doesn’t have their own opinions. They want to discuss the book with you and they want to discuss the different topics and point of views in the book, and it’s really exciting because if a book can influence young people to be outspoken. then I think that’s a great thing! The Hunger Games: Mockingjay Part 2 and The Hunger Games Four Film Collection will be available March 8th on Digital HD and March 22nd on DVD/Blu-Ray.